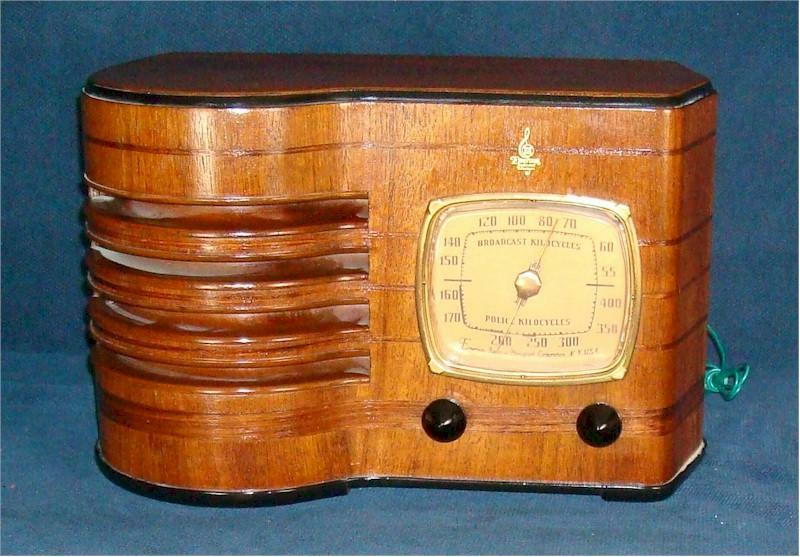 In the 30s, Emerson Radio contracted with the internationally famous Ingraham Cabinets on a series of radios. Ingraham Cabinets was an upstate New York based maker of fine wood cabinets, and were famous for the fine clocks and cases the artisans there produced. The result is a line of the finest looks and quality ever made in the United States. Collectors are very appreciative of these radios and some collect only these fine sets. This is one of the larger and more deluxe models. The finish is all original and the speaker cloth and knobs. My technician has done a superb job in the total restoration of the chassis. The filters and caps, replaced with new state of the art replacements and the often-defective ballast tube has been replaced with a solid-state replacement. This radio is a terrific player, which should need no repairs for several decades of perfect performance. You are visitor number 3,500 to this page.